Dr. Kefer is a board-certified urologist who joined the practice from the Cleveland Clinic, the world’s most specialized urology program. His practice interests include single-site, no-scalpel vasectomies, treatment and prevention of kidney stones, minimally invasive treatment of kidney cancer, urinary incontinence in women and men, prostate enlargement/ prostate health, sexual dysfunction, surgical and non-surgical prostate cancer treatment, and male fertility. 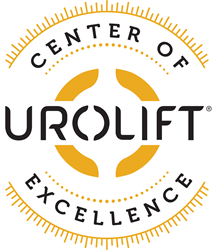 Dr. Kefer earned the UroLift Center of Excellence status in 2019, becoming the first urologist in the Denver area and the entire Front Range to earn Center of Excellence status. He is a member of the American Urologic Association, a member of the Colorado Urology Executive Council, and is Co-director of Urological Robotic Surgery at Exempla Good Samaritan Medical Center.